Between a fleece and softshell is this moisture-wicking hybrid hoody. 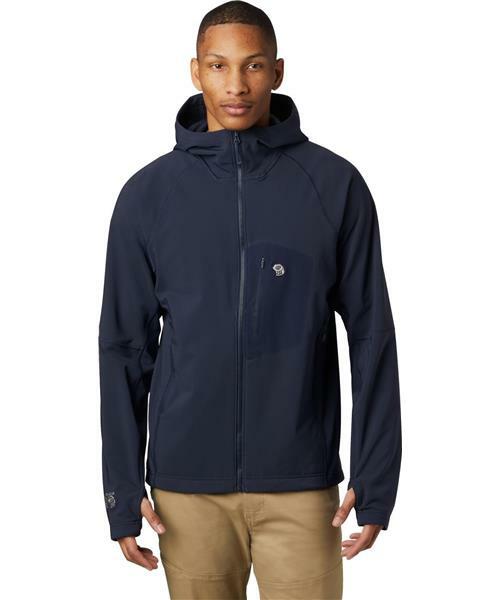 Constructed with Doubleweave Brushback fleece and a DWR exterior, durability is the main feature. With plenty of stretch, it’s an ideal companion on mixed-alpine terrain or climbs.